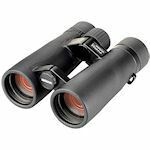 Opticron Verano BGA HD Binoculars are open bridge, waterproof and fog proof and come in 8x32, 8x42, and 10x42 sizes. 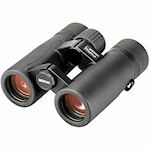 Close focus is 4.9' for the 8x32 and 6.6' for the 42mm models. The lenses fully F-type multi-coated and the "PGK" prisms are phase corrected and Oasis-coated. Eyecups are twist-up with two intermediate stops between the top and bottom. Eye relief is 17mm for the 8x32 and an excellent 22mm/21mm for the 8x/10x42s.